When it comes to new products in the drugstore that I generally want to try all of, I'd say that concealer tops that list. 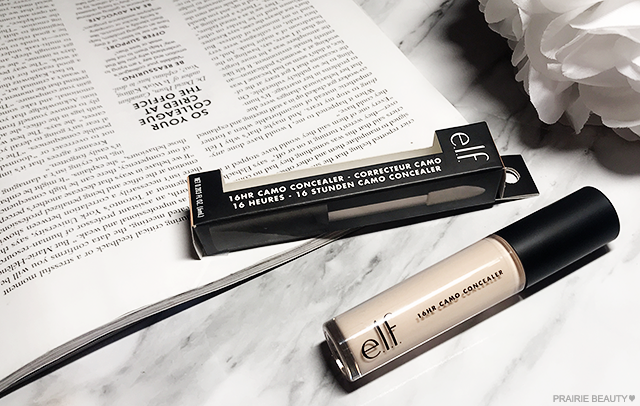 Concealer is a must for me and I'm always on the lookout for a formula that's going to give me the coverage and finish that I personally want at a really affordable price. So, of course, with the release of the e.l.f. 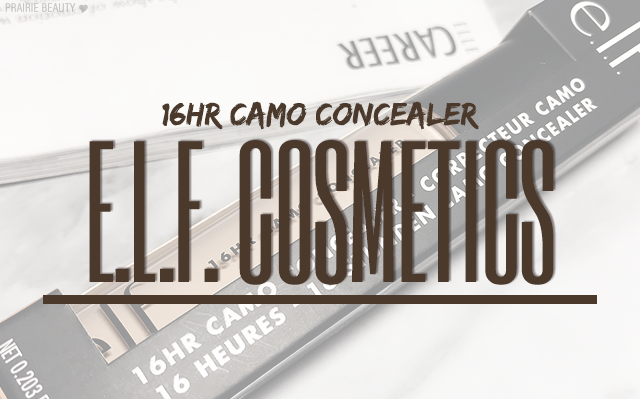 16Hr Camo Concealer amid a lot of excitement and fanfare, I was dying to get my hands on it. Colour me surprised when I actually found it on the shelf at my local Walmart. As Canadians, I think we're all pretty used to getting new e.l.f. products long after they launch, so it was nice to see this particular launch locally available to us. 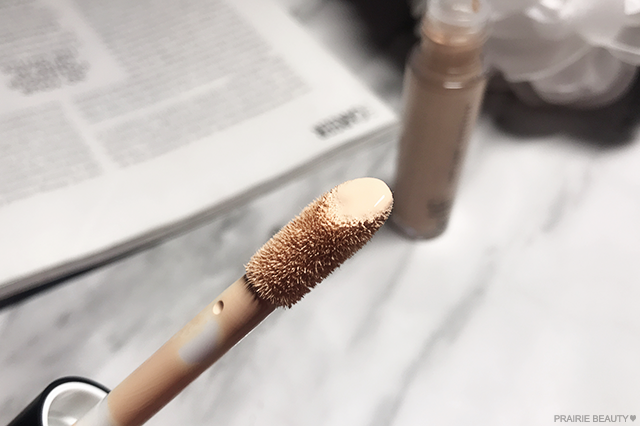 In this review, I want to touch on a really peculiar thing about this concealer that I haven't personally seen in any of the reviews I've taken in, so I highly commending reading to the end. Now is definitely the time of everyone doing the giant wand with a high coverage formula thanks to the massive success of the Tarte Shape Tape Concealer and I feel like the results are pretty mixed - no matter how many people like to declare any concealer with a giant brush a new dupe. I haven't tried the Tarte Shape Tape personally - it's hard to get here and some of the criticisms I've personally heard about it have been enough to make me skip trying to get my hands on it regardless of its mass holy grail status. I've tried a few of these so-called dupes though and I feel like there's been some pretty significant differences in the formulas, which makes me question the dupe claims as a whole. This concealer has definitely been tossed into that category and I find the formula to be completely unique from the others that I've tried. Now, before we get into talking about the actual formula, I wanna take a second and talk about the shades.. because honestly, this is where it gets a little bit weird for me. When I was choosing a shade, I was trying to be really careful to not choose one that was too light for me because I've been finding that as shade selections get wider and more inclusive the light shades can end up being too light for me and I've ended up with some ghostly bad choices. As a result of this, I ultimately ended up with the shade Medium Peach, which was basically insane because I've never picked up a shade with "Medium" in the name in my life. 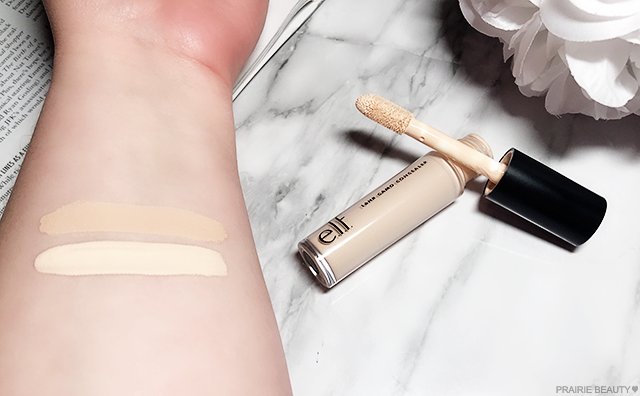 I was so conflicted on actually picking this up that I compared it to other drugstore concealers that I wear and it seemed like it was the best option, even maybe a little bit lighter than my usual picks. But still.... "Medium Peach"! Now here's where it gets weird. 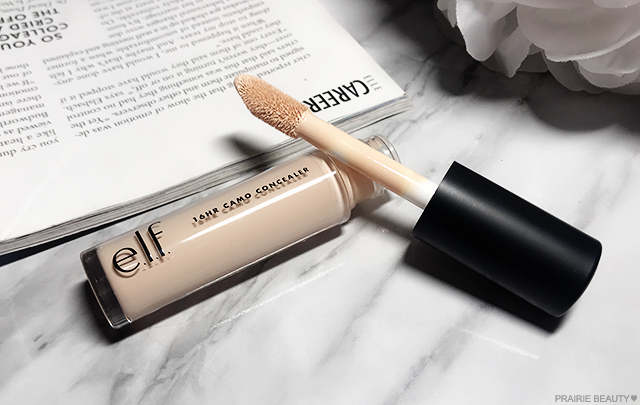 When I first apply this concealer, it does skew lighter than what I prefer, but once it's blended out it looks like a nice highlighting concealer on me. But then as it sets further it ends up deepening up even more to be more like a skintone match. It's not really like oxidization, which tends to happen over longer periods, this really is it just drying down darker than it applies. I had to take a swatch photo with the comparison, so in the photo above it's the same product with the swatch on the top having dried down completely for about ten minutes and the bottom swatch is freshly applied. I do feel like the difference is a little bit less pronounced on the face than it is in the swatch, but there's still a pretty significant difference. So basically... it's probably best to pick up a shade that looks too light for you if you're looking for something that's going to highlight. When it comes to how this formula actually works, I personally have really, really been loving it. It blends out really easily with a sponge and when actually applied to the face, it sets rather quickly. I do always set my concealer with powder, but I'm not actually sure that this one needs that. I have fairly deep set eyes, so I end up with shadows no matter what, but I really need a concealer that's going to work with the actual dark circles so that I don't end up looking a mess, and I think the coverage on this concealer is really quite solid and helps to cover up the darkness of the skin so that I'm really only contended with the unavoidable shadows. When it comes to wear, I find that while this doesn't accentuate the fine lines under my eyes or settle into them, it doesn't really mask them either so it works best when I prep my undereye well with eye cream to make sure everything is a little bit more plump and smooth. Throughout the day, this really does maintain the coverage that it started with and it actually holds up surprisingly well to watery eyes as well. I actually do think this lives up to the 16hour claims - and I kind of wonder if they used a similar formulation to a long wearing matte liquid lipstick, because I think that there are a lot of similarities. In case anyone is wondering about dupes, I personally think this formula is different than the other drugstore options that have been put in the same category. 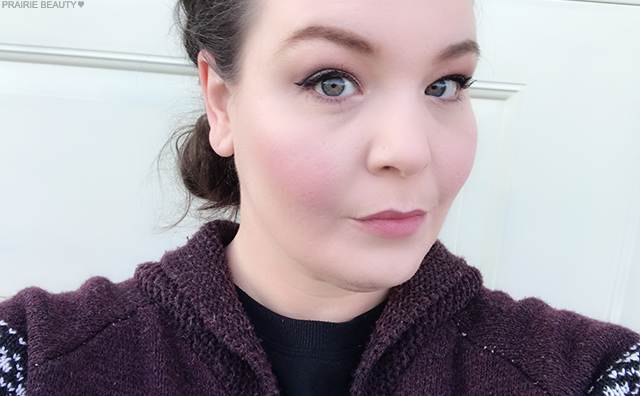 I think it's A LOT better than the L'Oreal Infallible Full Wear Concealer, which was ultimately just too finicky to work with and hard to make look good for me to love it. And I think it's a fundamentally different formula than the Revolution Beauty Conceal & Define Full Coverage Concealer, which I think has more hydration and less coverage. This one is also the most affordable, both in how much it actually costs for a tube as well as cost per ounce. Overall, despite the absolute weirdness of the shades and the way that it sets, I really do think this is a beautiful concealer and one of the best in the drugstore. I'd do a little research to find your shade (and definitely pick one that looks too light for you in the tube) and be sure to prep your eyes for the ultimate smoothness in finish, and I think a lot of people will really love this! The e.l.f. 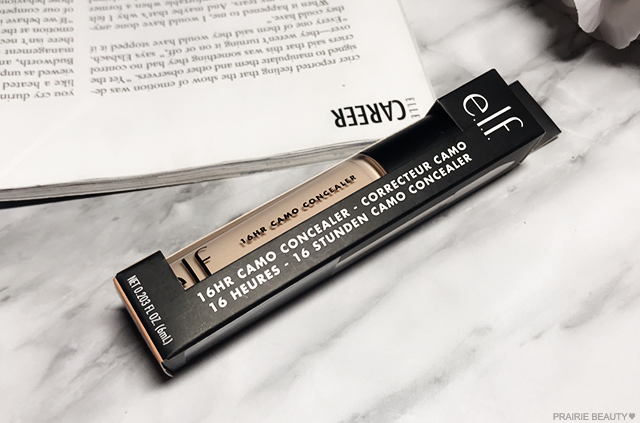 16Hr Camo Concealer is available now - popping up in local Walmart stores here in Canada as we speak - as well as online at elfcosmetics.com!